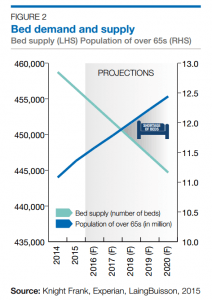 Rising demand but a falling supply of care home beds? We have commented numerous times how the care home sector has an optimistic future, despite its uncertain present, and this has now been compounded by recent research. The UK has an ageing population and research suggests that the number of people aged over 65 is set to rise by 10% over the next 5 years and by more than 40% in the next 17 years. Yet, during the same period, the number of beds available in care homes is forecast to fall. 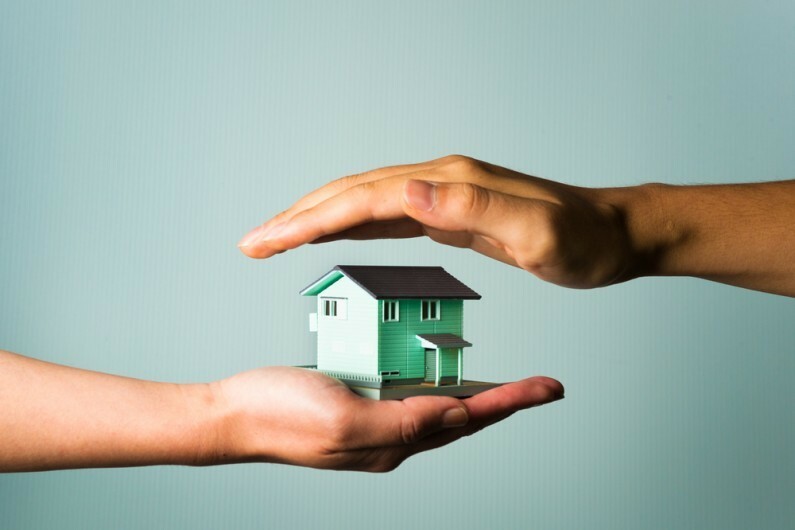 Research by property consultants Knight Frank indicated that there was a net loss of 189 elderly care homes during the 12 months to September 2015. If current trends continue, Knight Frank predicts the existing care home bed supply of 456,000 will fall to 444,700 by 2020. Similarly, research from thinktank ResPublica forecasts as many as 37,000 beds (around 1,500 care homes) could be lost by 2020. The findings underline the scale of the problems facing the care home sector. Many care home operators are facing major challenges and, although the National Living Wage introduction has to happen to pay employees a fair wage, care homes will be arguably the biggest hit sector (almost 51% of employees will be affected by the changes by 2020, compared to the average of just 23% across all sectors). In conjunction with this, local funding cuts and the consequent squeezes on fees paid by councils have seen many homes’ income stagnate whilst their costs are rising. Research by LaingBuisson consultants found that the cost of running a care home is £554 per week; £42 more than the average fee (£512) paid by English councils. There is a significant funding gap and it is putting the immediate financial viability of the UK’s smallest care homes under very real threat. Opportunities for high performing care homes and new entrants? The rising demand of care home beds and aging population presents good news and big opportunities for high performing care homes and new entrants into the market. Those homes that innovate, cut down costs and operate more efficiency and pragmatically will be the most likely to attract more private residents and reap the benefits of an optimistic future. We have spoken in detail before about the opportunities for innovation and financial efficiency, including a well-designed website, renewable energy sources and the use of technology in and around the care home. We heading towards energy efficiency in the care sector? Those care homes that prepare for tomorrow’s service users today will be the ones who are best placed to overcome the challenges they will face over the next few months and years.